Usually the Hokkaido-Yo series come in singles flavours but this one was a mix of mango and melon. 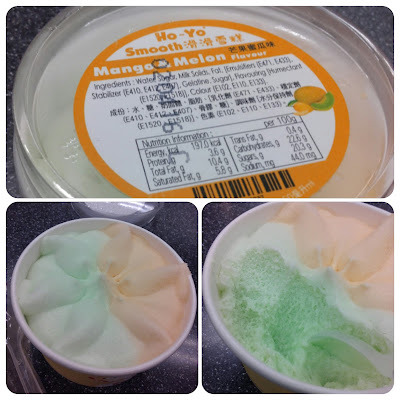 The orange part is mango and the green colour is melon. I knew I wasn’t going to like the Mango because I never eat mango, the melon was ok but the taste was quite artificial.